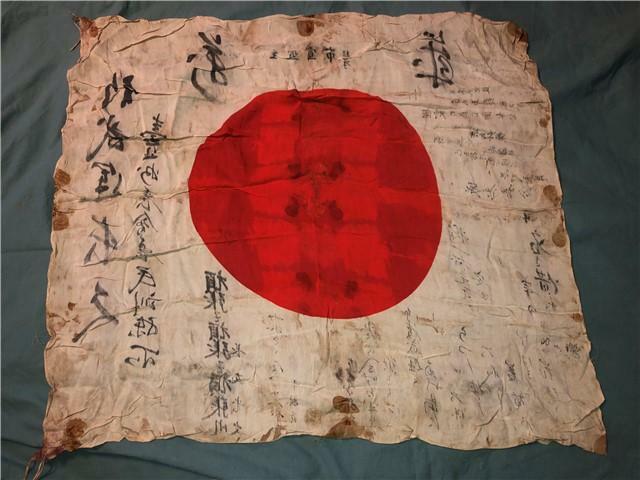 Thread: Japanese Good Luck Flag - Blood Stained - Translation needed. 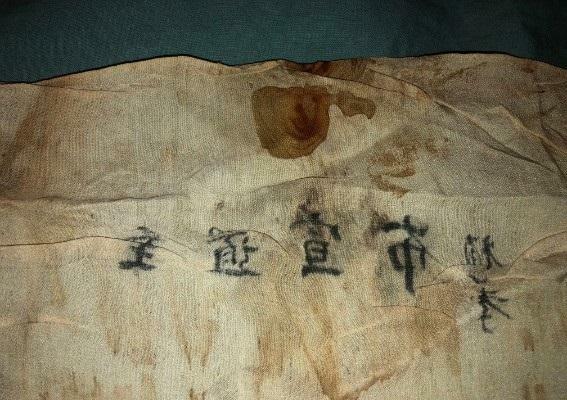 I mention blood stained not for the "oooo" factor but to hopefully get more attention than just begging for a translation. 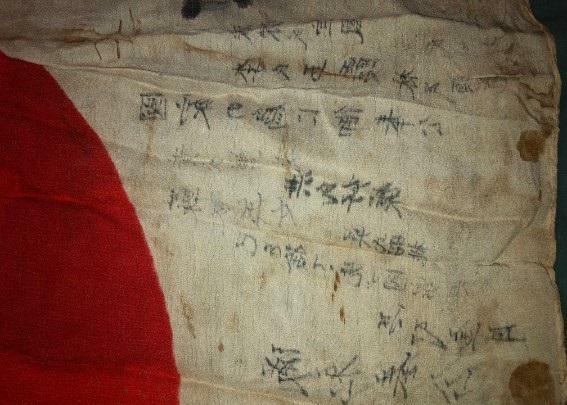 Can anyone reliably translate this for me? I'm having a hard time getting this done. I'm having a hard time getting this done. Well where have you tried so far? Presumably it would be easy for someone who speaks and writes fluent Jappenes to translate this. Unfortunately, most people here are probably are not fluent in Jappenes. I'm not sure where to ask other than fiverr which could get expensive fast. I got off gunboards months ago and have not intention to go back. Is there a college close to you where foreign students accumulate? Sadly no, I am in the middle of the mountains, fairly far from any decent sized college. Japanese filled the demand by producing replicas. 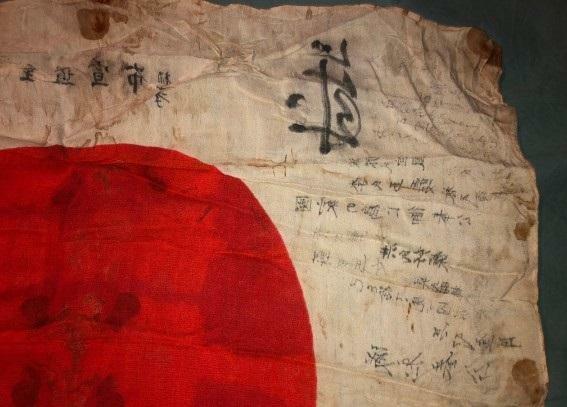 Some of the writing on the replicas was like $%&#% you American GI. If that turns out to be the case then surely it is a collector's item in it's own right after 70 plus years, just not WW2? 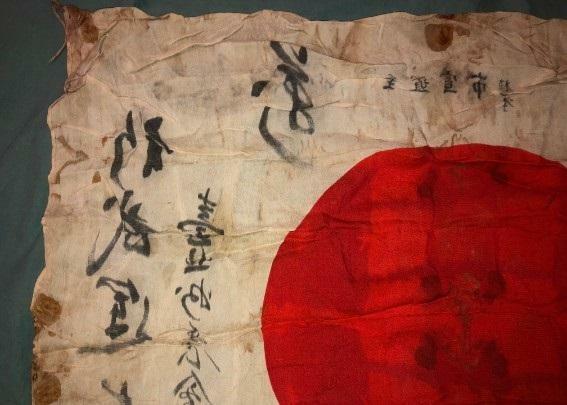 We could all speculate as to what this flag may say but until it is translated we really don't know. 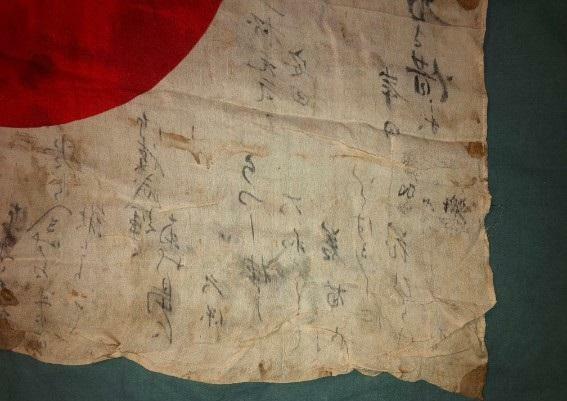 Best place for a Japanese translation? Vintage Bomber Jacket with Blood Chit? ?